With international recognition for impeccable designs and craftsmanship, Noam Carver engagement rings and wedding bands are gorgeously displayed at Trice Jeweler's Centennial showroom. Founded in 2008, all Noam Carver fine jewelry is nothing short of beautiful because they are made with precision and constructed by highly skilled artisans. Using innovative technology and expertise, designs start from an idea to an enchanting reality with immaculate metals and breathtaking diamonds. As an authorized retailer, Trice Jewelers is thrilled to offer their clients an excellent array of Noam Carver fine bridal jewelry. With almost ten years in the jewelry industry, Noam Carver has been one of the fastest growing jewelry designers in the world, winning multiple prestigious awards, and earning the hearts of every couple looking for the perfect engagement ring. Trice Jewelers is a proud authorized retailer for Noam Carver and carries a stunning, handpicked selection that will leave couples wonderstruck at the glittering assortment. 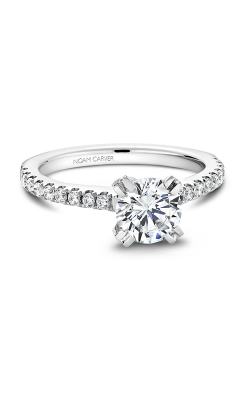 Popular engagement ring collections by Noam Carver include the floral-inspired Floral collection, as well as the vintage-inspired Modern, 3 Stone, and Vintage collections. Not only are Noam Carver designs striking, they are made so well with intense detail to ensure that every piece is crafted with attention and passion. 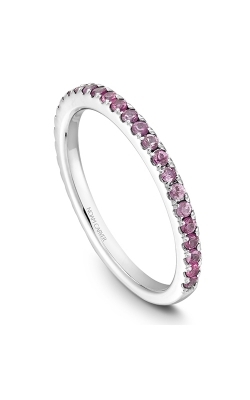 At Trice Jewelers, customers can rest assured their Noam Carver bridal jewelry is authentic and genuine. Furthermore, popular collections also available today at Trice Jewelers include Noam Carver's fabulous wedding bands designs. Made with precious rose, yellow, and white golds, Noam Carver wedding bands are timeless, made to last for eternity, and are the perfect representation of a loving commitment. Why Shop at Trice Jewelers? For fifty years, Trice Jewelers has been a top provider of engagement rings, wedding bands, timepieces, and fashion jewelry from their enormous and luxurious showroom in Centennial, Colorado near the Denver, Greenwood Ranch, and Littleton areas. Trice Jewelers is an authorized retailer for some of today's top jewelry designers such as Pandora, Gabriel New York, and Jack Kelege, among many others. Their professional and friendly staff are always there to help customers make the best selections for an easy-going shopping experience. With so many services available such as watch repair, jewelry repair, sensible appraisals and financing, as well as gold buying, and custom design, all jewelry needs are met at Trice Jewelers.